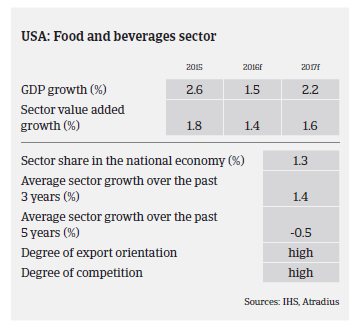 The US food and beverage industry is expected to grow 1.4% in 2016 and 1.6% in 2017, less than the GDP growth rates forecast for this period. Food and beverage manufacturing is one of the largest employers in the US, providing jobs for more than 1.4 million employees. The US food manufacturing industry consists of approximately 21,000 companies and generates revenues of about USD 760 billion. The relatively benign agricultural commodity price environment has kept food price inflation low. At the same time consumers are increasingly becoming health-conscious, and natural, organic and gluten-free food items will continue to be strategic areas of new product focus, at the expense of packaged/convenience food manufacturers. Other challenges for the US food industry are new legal requriements, e.g. in May 2016 the US Food and Drug Administration (FDA) announced a new nutrition facts label for packaged foods to reflect new scientific information, including the link between diet and chronic diseases such as obesity and heart disease. The US Congress has also passed a new bill that establishes national standards for food containing ingredients which are genetically engineered, also known as genetically modified organisms (or GMOs). This will affect most food manufacturers as they will be required to make changes to the labels on every package they produce. As food safety and security is becoming increasingly important to US consumers, the transparency of a food business supply chain is very important for market success. While profit margins of US food businesses are not expected to deteriorate in 2017, they remain structurally very tight throughout the sector. In the retail and food service segments competition is particularly fierce and companies are prone to undercutting others' prices to gain market share. There have been many mergers and acqisitions (M&A) over the last few years, signaling a trend towards greater consolidation among large food brands. It is expected that M&A activities and the subsequent consolidation process will accelerate in the coming years, as it seems that in this highly competitive environment only expansion guarantees sustainable sales growth and margin improvement. Banks are mostly willing to provide financial support for M&A activities, and private equity companies are investing heavily in the food market. The average payment duration in the US food industry is 15-60 days, depending on the items sold (e.g. perishable goods or packaged goods). 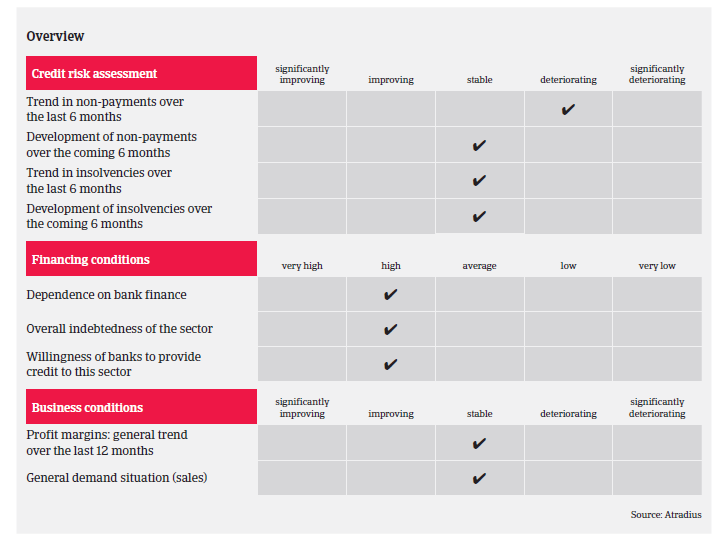 The number of non-payments and insolvency cases is expected to remain stable in the coming months. Many companies are being bought and sold - which should result in fewer insolvencies and further efficiencies due to increased synergies. 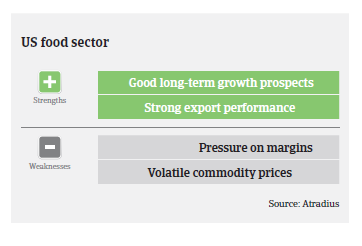 As a result of the highly competitive market environment and persistently low margins our underwriting stance is generally neutral for food producers and retailers. In this sector there is always the risk that the sudden outbreak of an epidemic, contamination or fraud can lead to the immediate deterioration of the earnings and profitability of single businesses.